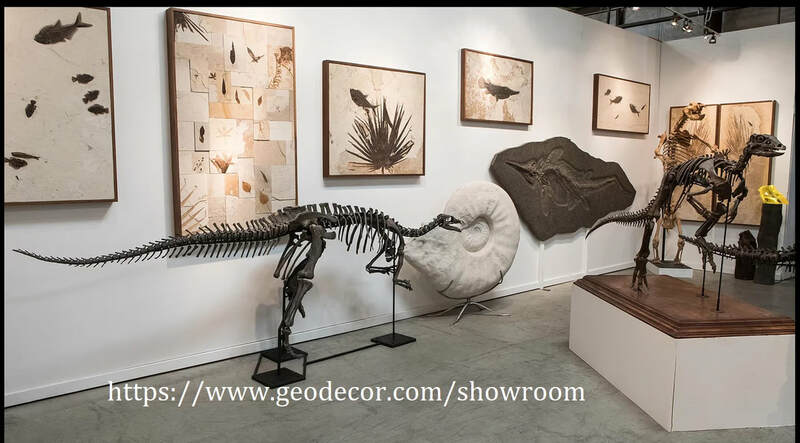 GeoDecor offers exceptional fossils, minerals and meteorites for interior designers, collectors and museums. Fossils, naturally occurring in limestone, over 50 million years old, from the Green River Formation are a mainstay of GeoDecor's offerings. These include spectacular custom murals and mosaics. Our guarantee of authenticity makes each of our world-class pieces a valuable, as well as aesthetically satisfying, investment. 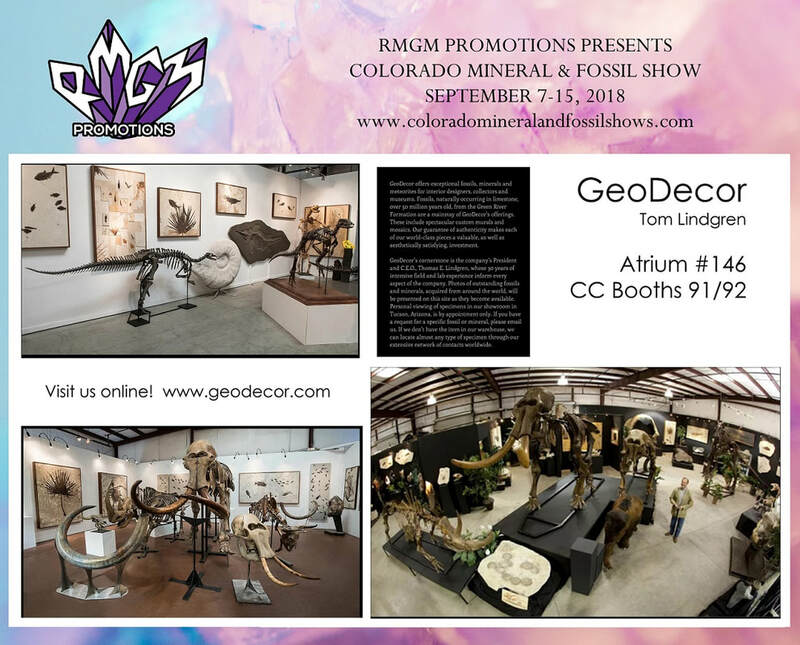 ​GeoDecor’s cornerstone is the company’s President and C.E.O., Thomas E. Lindgren, whose 30 years of intensive field and lab experience inform every aspect of the company. Photos of outstanding fossils and minerals, acquired from around the world, will be presented on this site as they become available. Personal viewing of specimens in our showroom in Tucson, Arizona, is by appointment only. If you have a request for a specific fossil or mineral, please email us. If we don't have the item in our warehouse, we can locate almost any type of specimen through our extensive network of contacts worldwide.